Today, the marketing industry demands that its professionals have a complete understanding of the ever-increasing digital marketing channels, most advanced technology, and latest data in order to keep their brands and their campaigns performing at their peaks. This type of professional is referred to as the “informed marketer” because they possess extraordinary insight into the needs of their clients and customers, along with keen knowledge of the most effective and efficient ways to leverage their available data. One thing that all informed marketers have is a sharp set of technological tools that maximize their abilities to achieve reach, response, and results with ease. 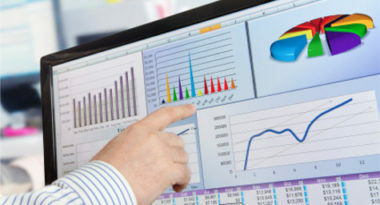 MediaPost.com compiled a list of the top tools keeping marketers informed and in tune. 1. Analytics Tool – These tools have become essential for digital marketing because they provide important information about the consumers a brand attracts, as well as the ways that these people choose to interact with the brand. In addition to providing excellent insight into the customer’s ideal communication methods and specific areas of interest, these tools offer data on whether the brand’s digital marketing is making an impact on engagement levels. 2. CRM Solution – These allow for the collection of relevant information regarding customers, prospects, and the brand’s interaction methods. The resulting data is invaluable for performance metrics, market segmentation, and digital campaign evaluation. 3. Social Media Suite – Having a social media presence means very little unless it can initiate consumer engagement and provide a low-cost way to enhance other digital marketing initiatives. Making a brand’s social media as worthwhile as possible demands continually fresh content and rapid responses to the feedback of followers. A social media integration and automation tool can handle these time-consuming responsibilities and allow informed marketers to focus their attention on other efforts. 4. SEO Tools – Search engine optimization can ultimately make the difference between being found or being forgotten by consumers. Today’s SEO tools can assist marketers by automating and simplifying a large amount of the manual effort involved, while helping consumers find the brand’s online channels with ease. 5. Marketing Automation Suite – These are regarded as one-stop resources for the automation, management, measurement, and tracking of digital marketing campaigns. The ideal system must be able to integrate with both the CRM system and analytics tools. The suite should also offer email, along with advanced lead and customer-scoring models, plus features for landing pages and online forms. Marketers should look for lifecycle marketing automation solutions, which offer the most advanced functionality and features for tracking engagement levels and leading consumers through the sales cycle. These five technological tools can make a world of difference in digital marketing by making the informed marketer’s efforts easier, more efficient, and much more effective than ever imagined. To learn more about the top tools of the informed marketer, contact MDG Advertising today at 561-338-7797, or visit mdgadvertising.com.